The dictionary provides an accessible guide to terms commonly used in various fields concerned with personal development, including counselling and psychotherapy, organisational consultancy and management training, adult education, professional development, and group leadership. There is much cross-pollination of vocabulary, and while the authors' approach is humanistic, the dictionary is deliberately not discipline-based or profession-based. The dictionary is primarily for practicioners, students and trainees, and will also be of interest to informed participants or clients. It aims to give a reliable guide to the origins, meanings and usage of terms as well as being a point of departure to a myriad of fields and topics concerned with human experience and development. 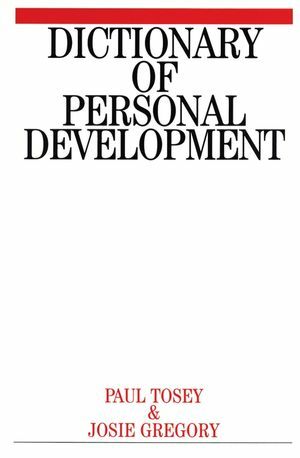 Paul Tosey is the author of Dictionary of Personal Development, published by Wiley. Josie Gregory is the author of Dictionary of Personal Development, published by Wiley.